There are stored some record books of the Roman-Catholic church of Trakai, Aukstadvaris, Uzhogusu provinces from 1738 to1920 years. The analysis of the documents have been revealed lets present the information which has strait relation to Obuchowski_Filipowicz-Wirpsza family who used to live in Trakai, Aukstadvaris, Uzogusu provinces (see map) and had relation to the people the client would like to know about. 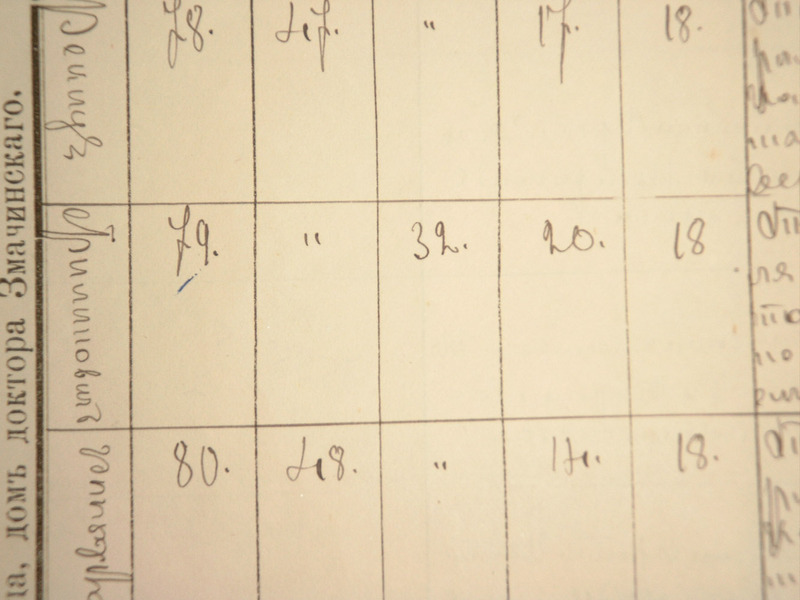 This information built a basis of the presented archive investigation. The information of questionable character hasn’t been included. The following archive reference is made on the base of these revealed documents of the State historical archive of Lithuania. 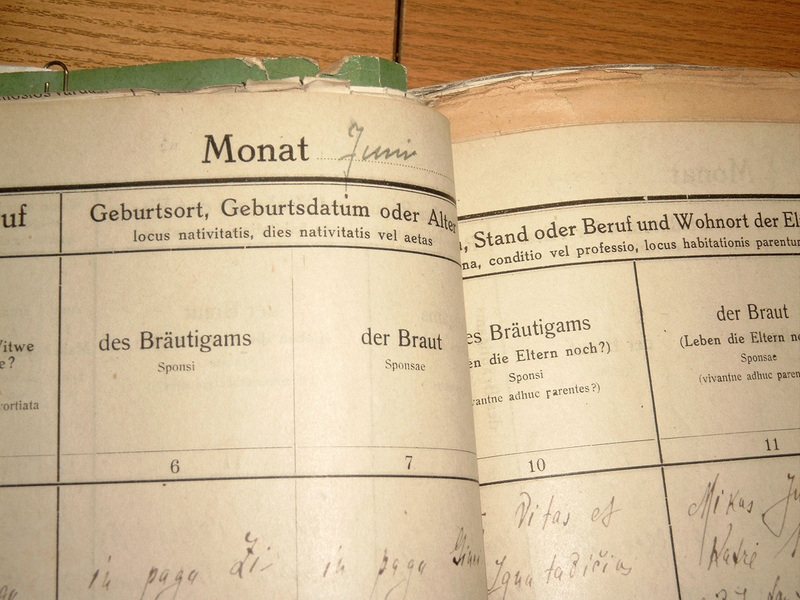 Record’s book of marriages, of deaths of the Roman-Catholic church of Trakai departments of 1738-1920. Record’s book of marriages, of deaths of the Roman-Catholic church of Aukshtadvaris departments. Record’s book of marriages, of deaths of the Roman-Catholic church of Uzogusu departments. 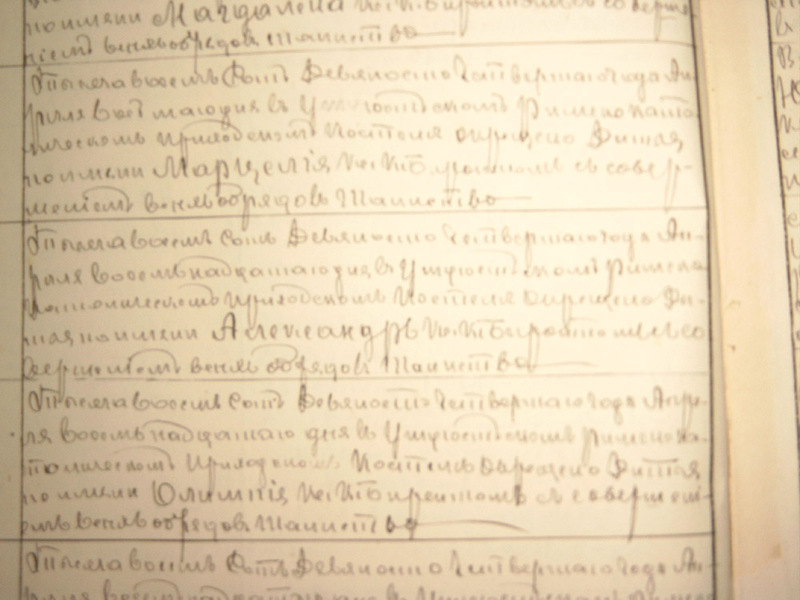 On 20 of July 1742 the baby named Ignatius (6) was baptized in Roman-Catholic church of Ketawiszki-Perkunakieme (information about this place we have found from unit 394). 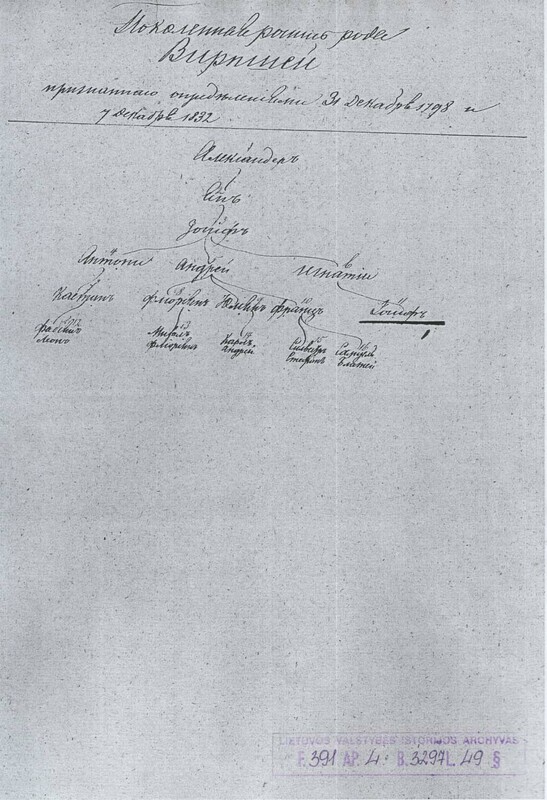 Parents: noblemen named Joseph (3) and Anna Susana (3a) (maiden Jasudawiczowa) Wirbsza. 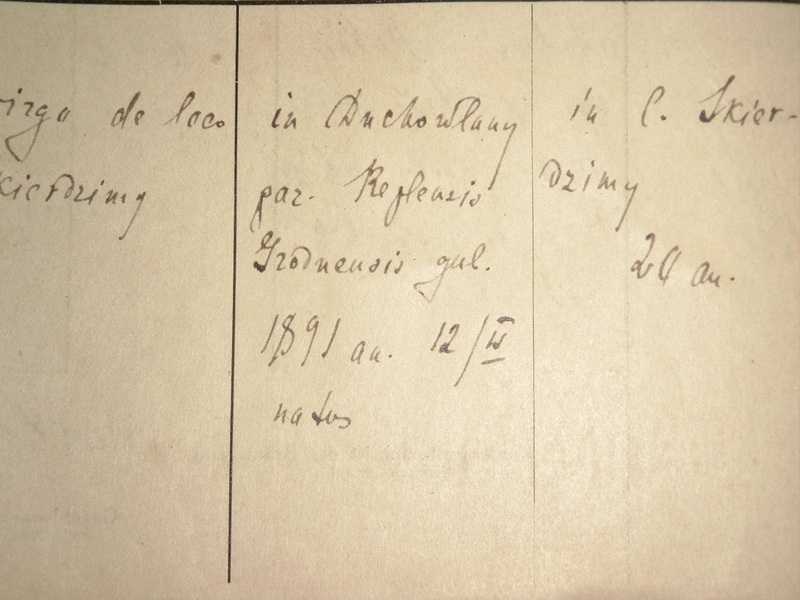 On 11 of December 1743 the baby named Ioannes, Thomas (3’) was baptized in Roman-Catholic church of Ketawiszki-Perkunakieme (information about this place we have found from unit 394). 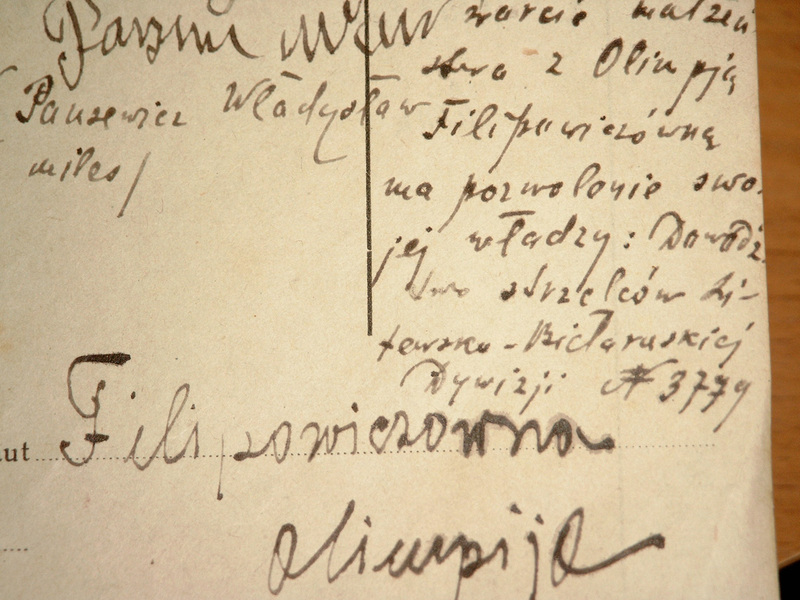 On 19 of February 1745 the baby named Felicianna (3’) was baptized in Roman-Catholic church of Ketawiszki-Perkunakieme . 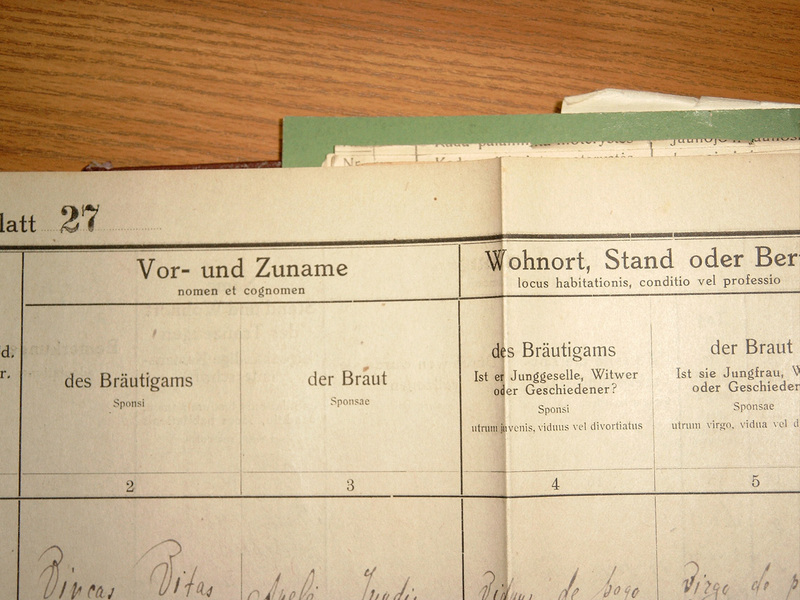 Parents: noblemen named Joseph (3) and Susana Anna (3a) (maiden Jasudawiczowa) Wirbsza. On 16 of August 1747 the baby named Susanna Elisebetha (3’) was baptized in Roman-Catholic church of Ketawiszki-Perkunakieme. On 13 of October 1749 the baby named Franciscus Dionysius (3’) was baptized in Roman-Catholic church of Ketawiszki-Perkunakieme . On 5 of December 1751 the baby named Andrei Nicolaus (5) was baptized in Roman-Catholic church of Ketawiszki-Perkunakieme. 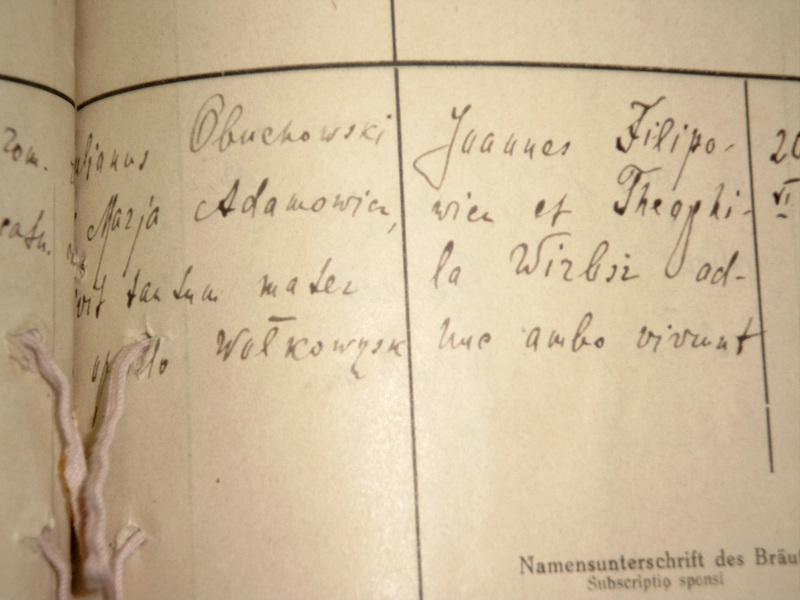 Parents: noblemen named Joseph (3) and Susana Anna (3a) (maiden Jasudowiczowa) Wirpsza. A godfather is nobleman Jacobus Jorolaba, a godmother- nobleman Strawinska. On 20 of January 1780 the baby named Antonina (5’) was baptized in Roman-Catholic church of Ketawiszki-Perkunakieme . Parents: noblemen named Andrea Wirpsza (5) and Helena (5a) (maiden Danieliwiczowa) Wirpsza. 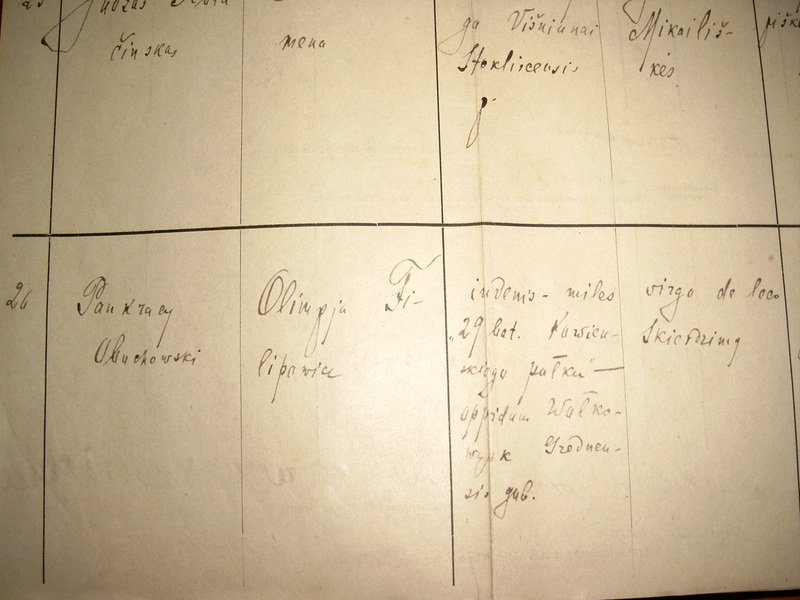 On 12 of May 1782 the baby named Florianus (8) was baptized in Roman-Catholic church of Ketawiszki-Perkunakieme . On 18 of April 1784 the baby named Julianus Josephus (9) was baptized in Roman-Catholic church of Ketawiszki-Perkunakieme . On 6 of January 1788 the baby named Carolina Honorata (5’) was baptized in Roman-Catholic church of Ketawiszki-Perkunakieme . 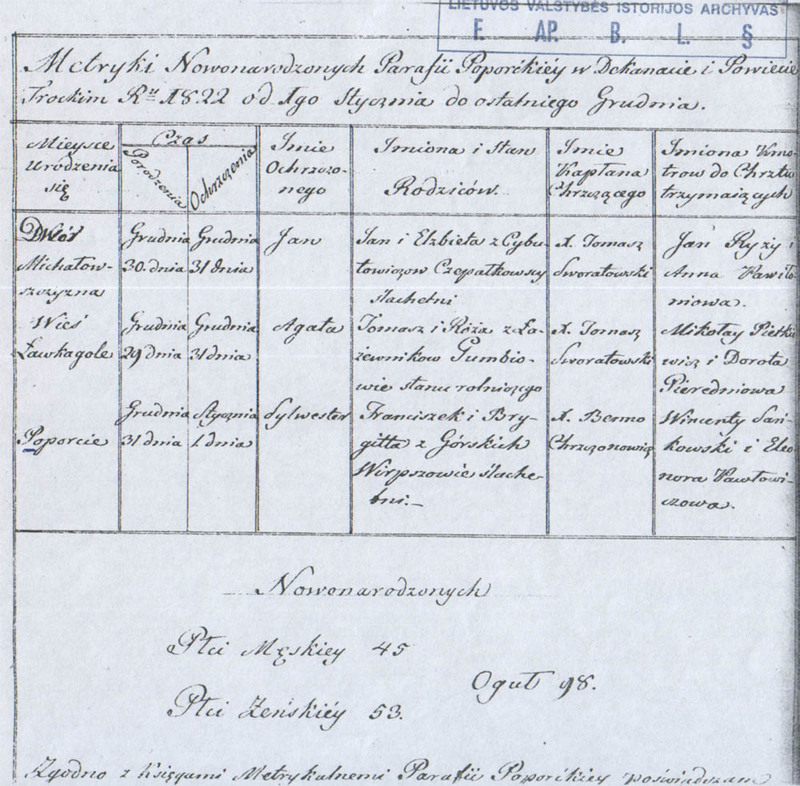 Parents: noblemen named Andrea Wirpsza (5) and Justina (5b) (maiden Leszczynska) Wirpsza. On 3 of April 1791 the baby named Franciscus (10) was baptized in Roman-Catholic church of Ketawiszki -Perkunakieme. A godfather is nobleman Joseph Deiszakiewicz, a godmother- nobleman Anna Naruszewiczowa (Narushewicz is very famous family in noble Lithuania). 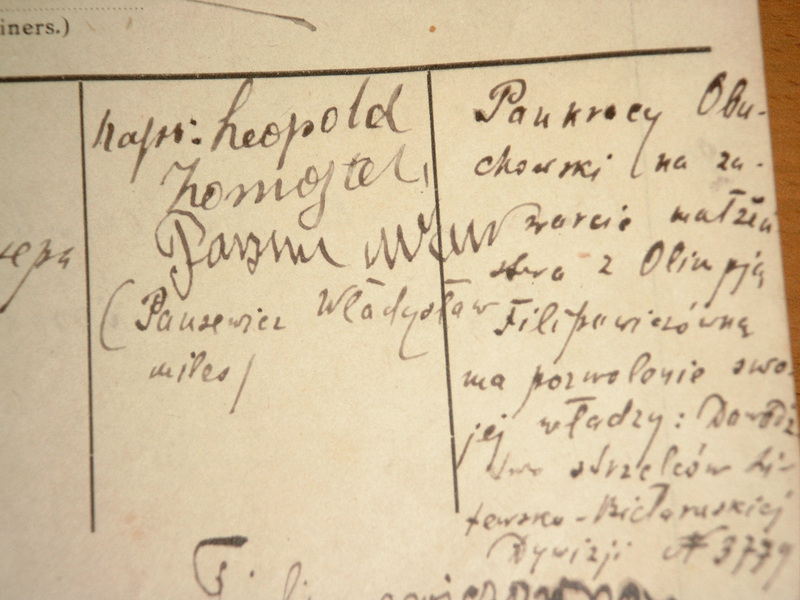 On 24 of February 1793 the baby named Appolonia (5’) was baptized in Roman-Catholic church of Ketawiszki-Perkunakieme . On 25 of February 1795 the baby named Eleonara (5’) was baptized in Roman-Catholic church of Ketawiszki-Perkunakieme . 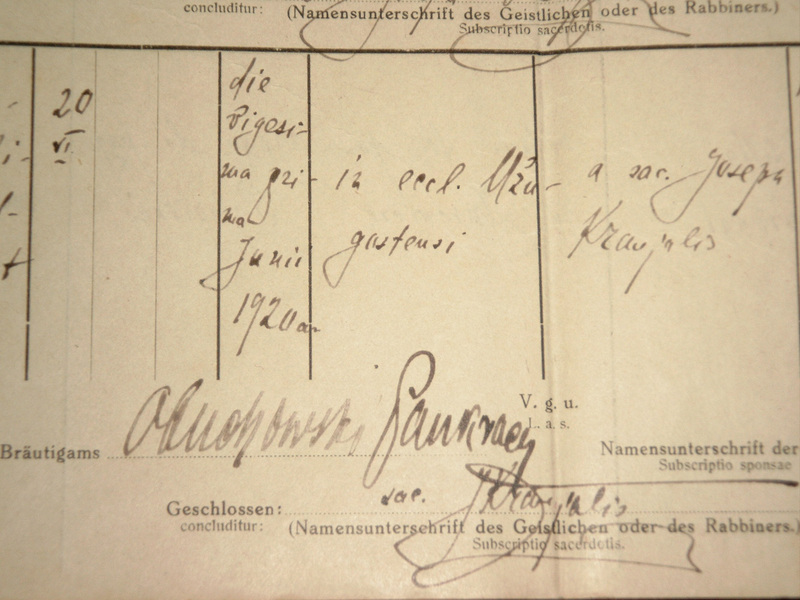 Parents: noblemen named Franciszek Wirpsza (10) and Brygida (10a) (maiden Gorsky) Wirpsza. A godfather is nobleman Wincenty Sankowski, a godmother- nobleman Eleonora Pawlowiczowa. 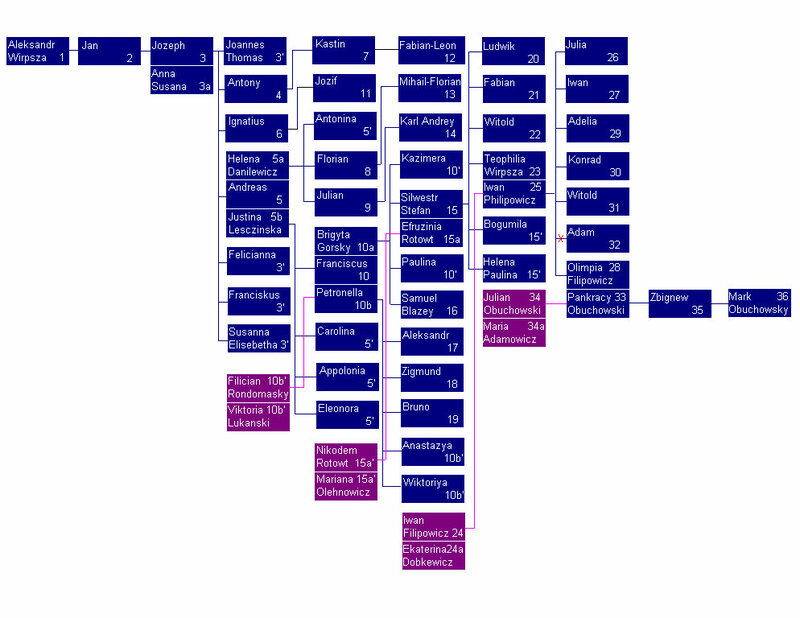 The record book of deaths of The Roman-Catholic church. In 1826 Brygida (10a) (maiden Gorsky) Wirpsza in the age of 37 years is died in the folwarek Poporceki. 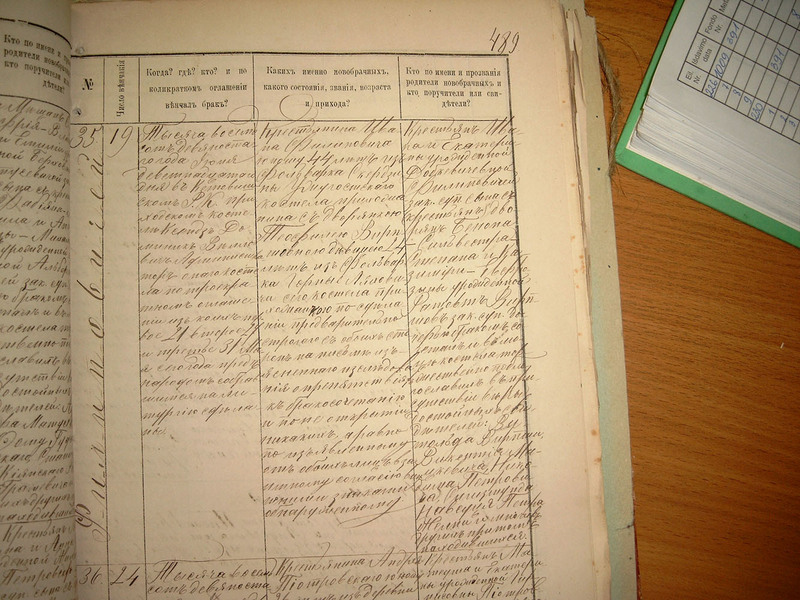 The record book of marriages of The Roman-Catholic church of Ketawiszki dated by 1832. 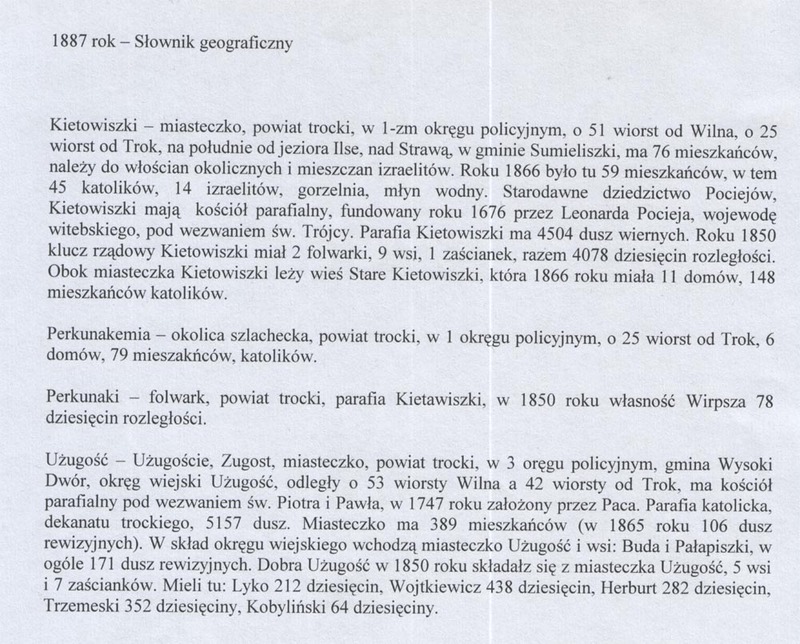 On 8 of September1832 the priest of the church announced widowed Franciszek Wirpsza (10) (31 years old) from Ketawiszki (Parents: Andrea Wirpsza (5) and Justina (5b) (maiden Leszczynska) Wirpsza and Petronela Randomanska (10b) (20y.o.) from Ketawiszki (Parents: Felician Randomansky(10b’) and Wictory (maiden Lukjanski)(10b’)a man and a wife before God. Parents: noblemen named Franciszek Wirpsza (10) and Petronela (10b) (maiden Randomanski) Wirpsza. 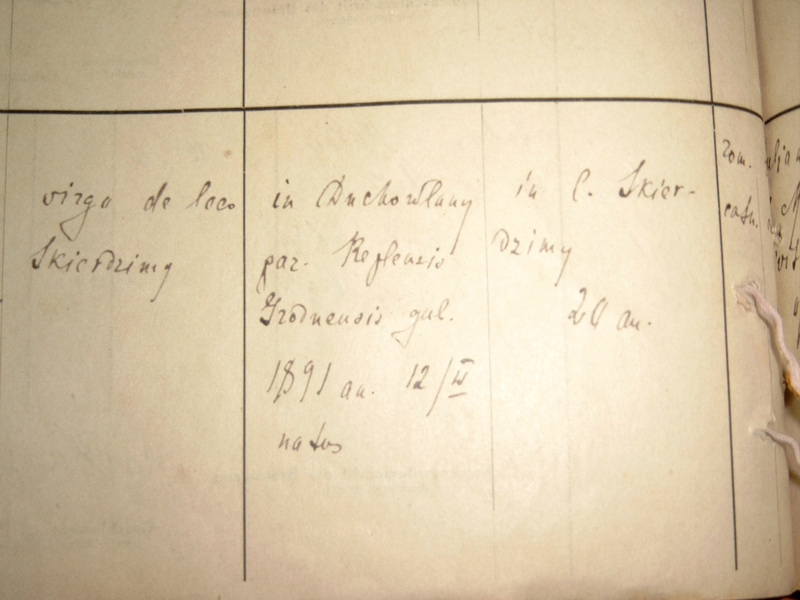 The record book of deaths of The Roman-Catholic church of Keitawiski dated by 1838. On 2 of January 1838 the baby named Aleksandr Michael (17) is died. In 1844 21 of July Franciszek Wirpsza (10) in the age of 54 years is died in the folwarek Poporceki. 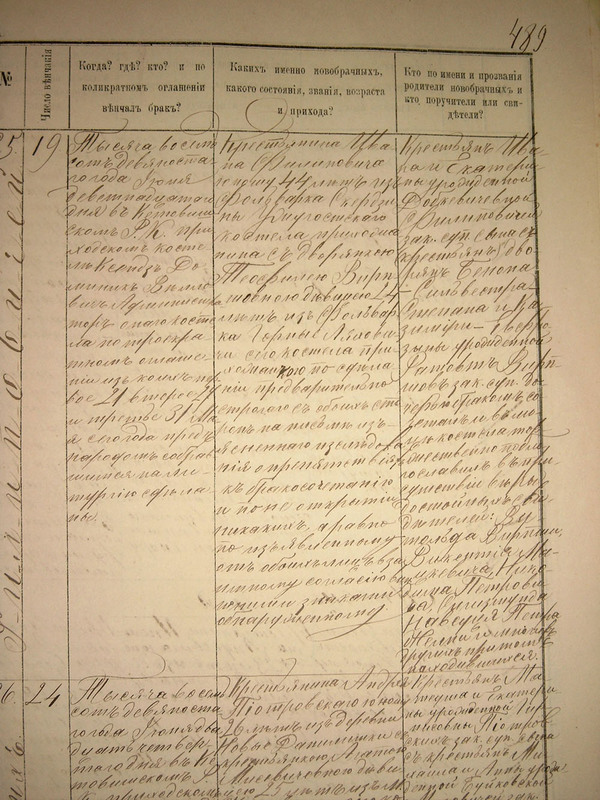 The record book of marriages of The Roman-Catholic church of Ketawiszki dated by 1852. 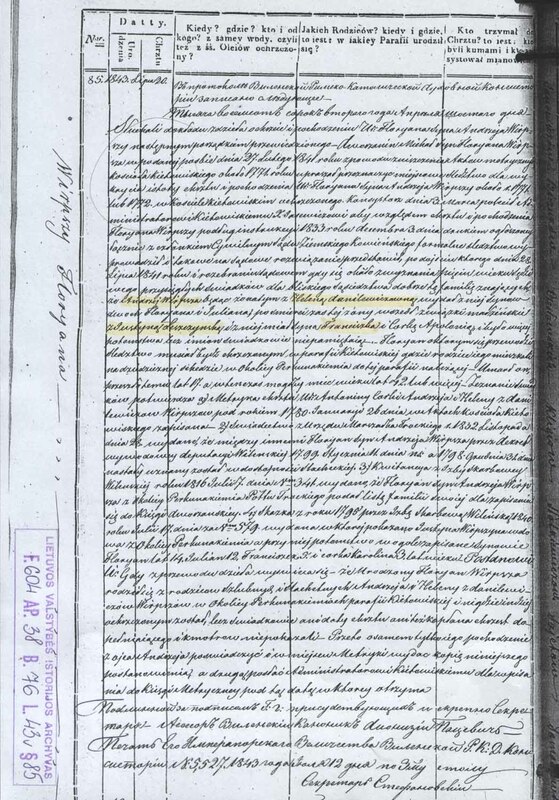 On 28 of October1852 the priest of the church announced nobleman Sylwestr Benon Stephan Wirpsza (15) (29 years old) from Ketawiszki folwarek Perkunakeimai (Parents: Franciszek Wirpsza (10) and Brygida (10a) (maiden Gorsky) ) and Efruzina Rotowtowna (15a) (20y.o. in really 23 y.o) from Ketawiszki Perkunakeimai(Parents: Nikodem Rotowt(15a’) and Marciyanna (maiden Olehnovich)(15a’)a man and a wife before God. A godfather is nobleman Jerzy Pacewicz (very famous nobleman in Lithuania), a godmother- nobleman Eleonora Pawlowiczowa. Parents: noblemen named Sylwestr Benon Stephan Wirpsza (15) and Efruzina (15a) (maiden Rotowtowna) Wirpsza. A godfather is nobleman Carol Wirpsza(14), a godmother- nobleman Frantiszka Zelinska (not married girl, Zelinsky had a lot land in this area). In 1887 5 of February Kazimera Frozinya (maiden Rotowtowna) Wirpsza (15a) in the age of 58 years is died in the folwarek Poporceki. In 1887 year in February Sylwestr Benon Stephan Wirpsza (15) in the age of 63 years is died in the folwarek Poporceki. 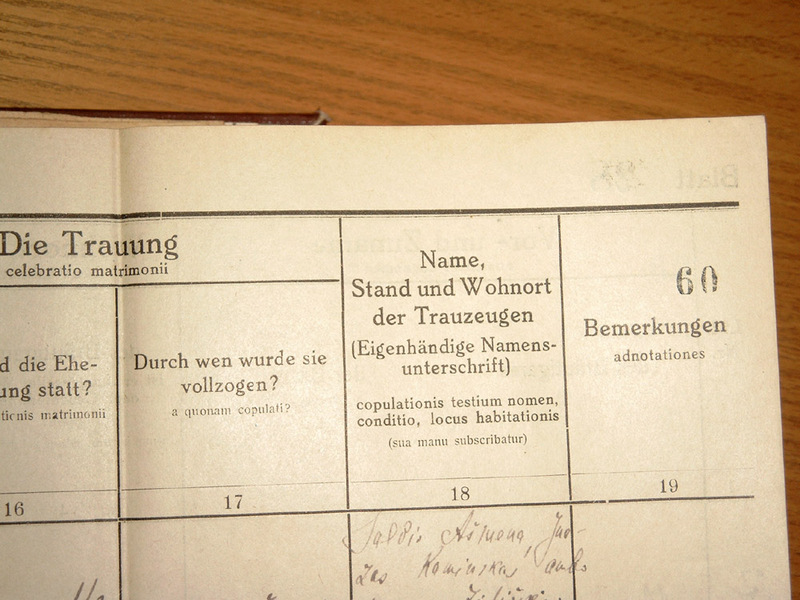 The record book of marriages of The Roman-Catholic church of Keitawiski dated by 1890. (24 y.o) from Ketawiszki folwarek Gornie (translated as Mountains) Liahoviczi (Parents: noblemen named Sylwestr Benon Stephan Wirpsza (15) and Efruzina (15a) (maiden Rotowtowna) Wirpsza) . a man and a wife before God. Parents: peasants named Ivan Filipowicz (25) and Teophilya (maiden Wirpsza) Filipowicz. A godfather is nobleman Wikentiy Kucewicz, a godmother- nobleman Mihalina wife of Wikenty Kozlowsky). Parents: peasants named Ivan Filipowicz (25) and Teophilya (maiden Wirpsza ) Filipowicz. The record book of deaths of The Roman-Catholic church dated by 1903. 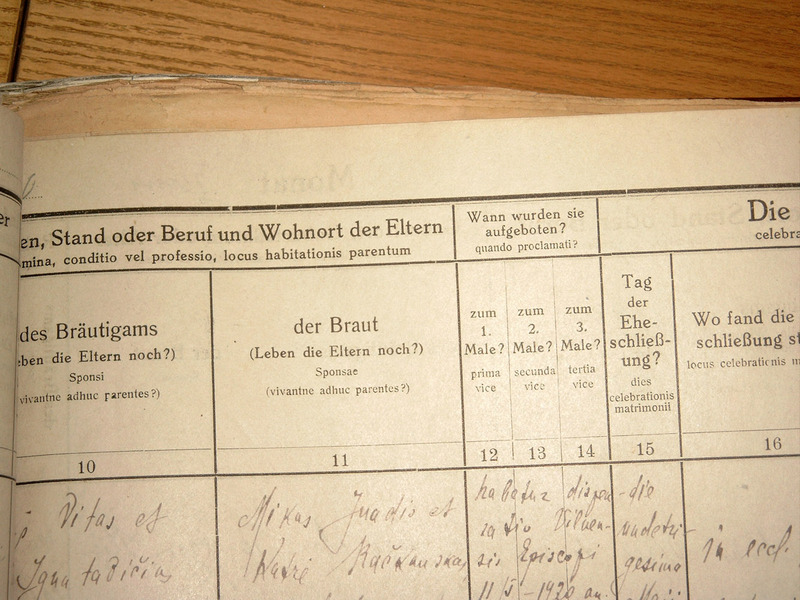 On 7of August 1903 the baby named Adam (1 week old) (32) is died. (26y.o) from Uzhugosti (Parents: Ivan Filipowicz (25) and Teophilia (23) (maiden Wirpsza).